Everyone who knows me knows that I love my doggy, Papi, so very much. He is a chihuahua daschund mix, 6 years old, and just as cute as ever! Did you know that September 24th – September 30th is National Dog Week? My hubby will agree that every week is national dog week in our home – I must admit that I’ve spoiled Papi rotten! 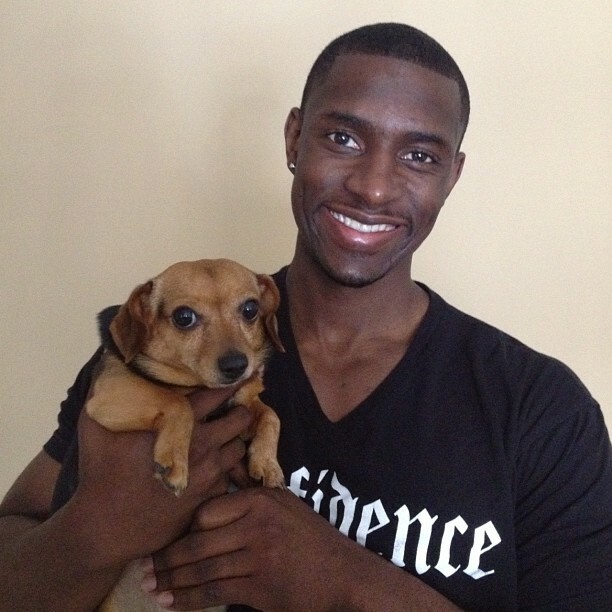 (I wonder what I’ll be like with our human kids… Jovan, get ready!) In honor of this great week, today’s Tasty Tuesday recipe is dedicated to man’s best friend! 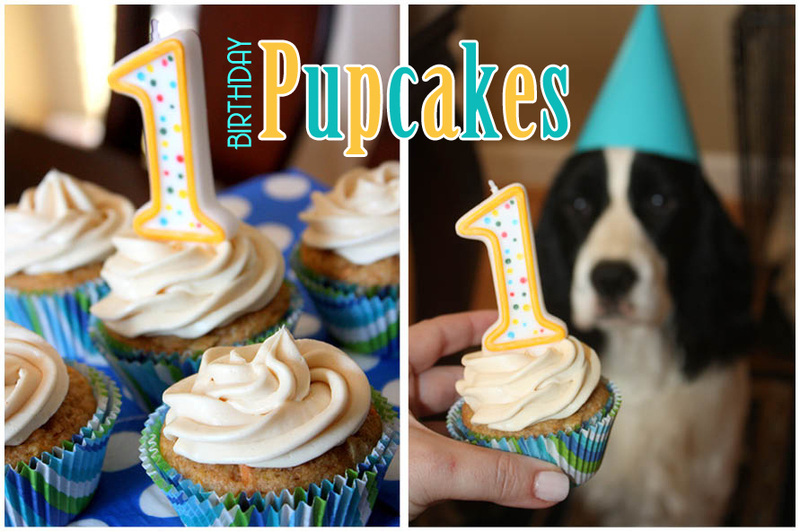 I found the recipe for ‘Pupcakes’ a little while ago on Pinterest thanks to Pizzazzerie. Head over to Pizzazzerie for the complete recipe. 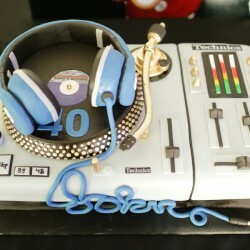 Papi’s birthday is March 13th and I can’t wait to bake these goodies for his next birthday bash with his doggy friends! Do you have a pet? If so, does he/she celebrate birthdays and get included in your family’s holiday celebrations? I’d love to know! I am determined to include Papi in our 5 year wedding vow renewal! It’s definitely engagement season! As I scroll through my Facebook feed, people are getting engaged left and right! I’ve had the pleasure of meeting some of the cutest newly engaged couples over the last few weeks! I’m a fan of just about any and everything with a little bit of glitter and glam! 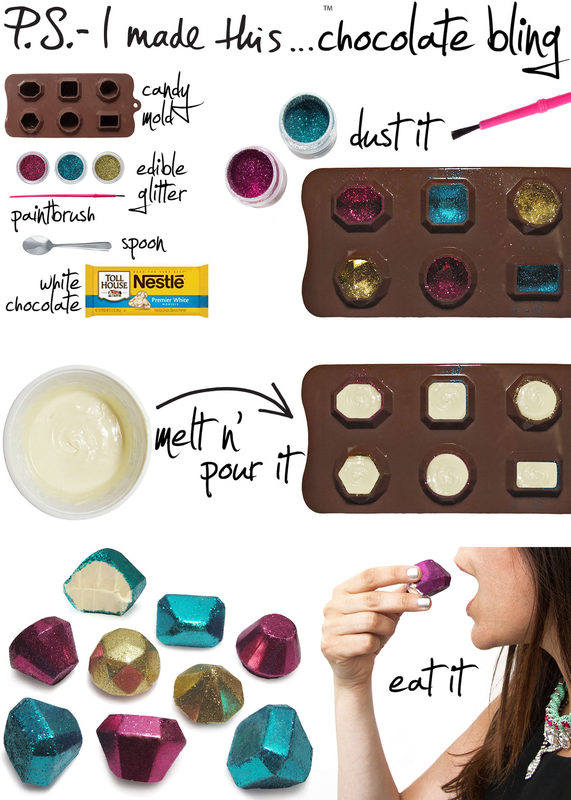 I’d love to add this pretty element to my upcoming 30th birthday bash! What do you think? Happy Wedding Wednesday! Do you have a wedding dress stored in the back of your closet? Are you a bride-to-be wondering what to do with your gorgeous gown after your wedding day? 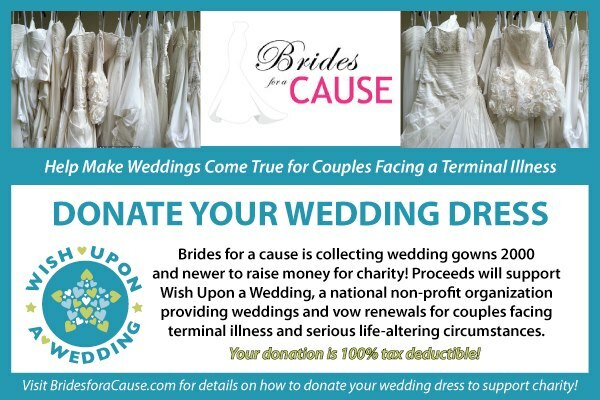 Consider donating your wedding dress to Brides for a Cause. I’m always looking for a way to give back and help out in my community. 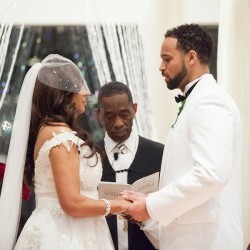 Brides for a Cause has recently partnered with Wish Upon a Wedding, a nonprofit organization dedicated to providing weddings to couples who are facing terminal illness or other life-altering circumstances. Brides for a Cause collects and resells donated wedding dresses to support Wish Upon a Wedding. I do believe that your bridal gown is a beautiful keepsake after you exchange vows with the love of your life. Spread the love. Consider donating your bridal gown for a great cause! I see so many exciting color combinations when I look at the Pantone Color Report for Spring 2013. Emerald + Nectarine. Poppy Red + Lemon Zest. African Violet + Monaco Blue. The possibilities are endless! 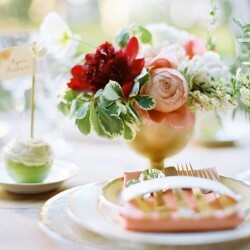 I can’t wait to see how this color report impacts the wedding and event industry! What’s your favorite color combination? I’d love to know! 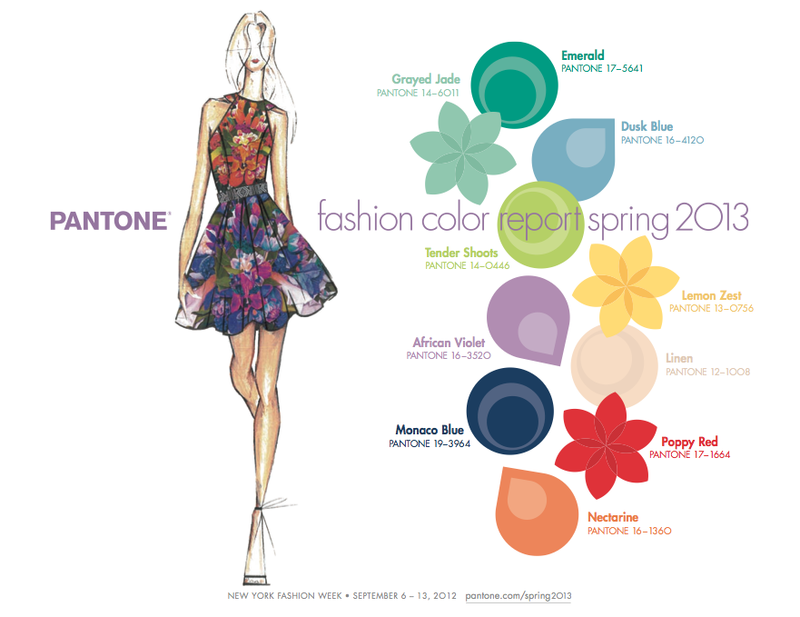 Head over to Pantone to download your copy of the full Pantone Color Report for Spring 2013.